The Spinoff recently published a blog post written by Professor Richard Easther, head of the Department of Physics at the University of Auckland. The post concerned the showing of a “creationist” video (embedded in the post) in Mount Hobson Middle School during a science lesson. 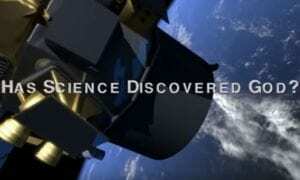 The video makes very strong claims that science had proved God. Prof. Easther debunks this, rightly, but also goes on to suggest that science and belief have not much to do with each other. Nicola Hoggard Creegan has written a response. Like your columnist Prof. Richard Easther I am opposed to the ideology of creationism, if that means the belief that God created by fiat and outside of an evolutionary process. But I also find fault with Easther’s arguments (The Spinoff, 1 August). As a theologian who engages with science, I would argue that the video shown in a classroom at Mount Hobson Middle School is problematic because it overstates its claims to prove God from science. Nothing in science can “prove” God. And it should not be said that way. On the other hand, all of our experience of nature, including that mediated through science, can be affirming and informing of faith. The discoveries around fine-tuning have been astounding, and famously convinced the philosopher Anthony Flew, late in life, to renounce his atheism. For at least one highly intelligent doubter scientific discoveries influenced belief. The discoveries around fine-tuning have been astounding, and famously convinced the philosopher Anthony Flew, late in life, to renounce his atheism. There are, of course, explanations other than a God behind it all. It might not be possible to have the world as we know it, with its Big Bang, without it having just the inflationary constants it has. On the other hand, we can ask the deeper question – why is there any stuff at all? And God might still be the answer to that question. For pantheism, matter is God. Or, there might be an infinity of universes all with different constants and only one was just right for life. It helps to categorise what the possibilities are, and to articulate that belief in God is not by any means the most incredible of the alternatives. Easther thinks the overlap between science and faith is slight. The language of faith and that of science do follow different rules, but their ultimate concerns are often similar, and they both use metaphors to bring to light the invisible. I would argue that the school video is correct in suggesting that scientific theories and facts do influence our theological reflection, and vice versa. Some astrophysicists, for instance, who are so inclined (Dr Jennifer Wiseman was one such visitor to New Zealand earlier in the year) are moved by the enormity of their daily contemplation, by seeing further and deeper than other humans, to affirm the existence of God by faith, and not by compulsion. Astrophysics has given us the Big Bang, and the anthropic principle, but also dark matter and dark energy and speculation around the number of dimensions in which we live, and the number of exoplanets on which other life might exist. We inhabit a universe partly hidden, partly visible, and always almost infinitely complex. Nothing could come closer to the biblical theist’s picture of the hidden God whose glory is nevertheless always revealed and eclipsed in nature. On the other hand, science does and has called faith into question. The National Association of Biology Teachers in the US once defined evolution as being among other things “unsupervised, impersonal and unpredictable.” This was extremely hard to reconcile with any understanding of a personal God, at least as revealed in Scripture. The words quoted are of a religious nature and have now been omitted from the NABT statement because they closed down dialogue between science and faith. But things have also changed in biology. More recently we learn of the complex interdependencies of all species, the cooperation that lies at the heart of life, the physics and chemistry that undergird it, the social and cultural patterns that work back into an evolutionary niche, evolutionary convergence, horizontal gene transfer and co-option, the interconnections of mind and matter. How clever it all is. How subtle. One might almost suspect a divine agent is involved, an intelligence, wisdom. The way we frame scientific explanations does have repercussions for faith, and vice versa. Belief in creation is not the same thing as creationism. In no case should creationism be taught in schools, because to teach it is to offend against so much of what we know to be true. And to teach creationism is also to teach the conflict model of science’s interaction with faith. We don’t have to choose. We can teach that creation is compatible with science, even if we have to work at it. On the other hand, science should not speak of faith as though it is a threat to scientific integrity, or inhabiting a separate and entirely private domain. Science and faith do overlap in their ultimate concerns and their attendant questions. The reflections and deeper questions belong in the lab as much as the church, because science is a particularly human endeavour, and humans are seekers after wisdom in all aspects of life. At the same time faith, properly constituted, will not interfere in any way with scientific discovery. A person of faith believes that there is always more to discover. There are always deeper levels of explanation. But there is also, in going deeper, in “indwelling” the scientific process, a recognition of grandeur and giftedness, and love. ← Is Religion really bad for Science?